When Adam was 6 years old, I sent him for a day of kid's activities at MIT for my 20th reunion. I didn't attend myself because Dova was only 3 years old and I didn't want to get full days of babysitting. 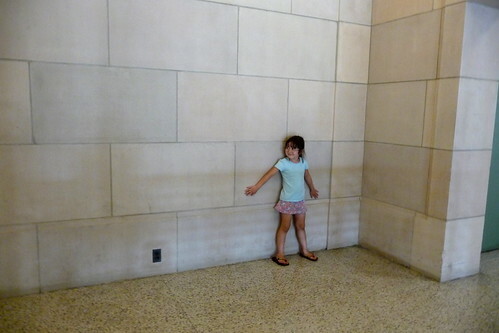 It turns out that MIT reunions are quite family friendly and have many family friendly activities even for young ones. I remember thinking that Adam was such a big kid at 6 years old and it was time to start brainwashing him into thinking that MIT was the best and only place to attend college. He loved it of course and has followed hook, line, and sinker into thinking that he should be going to MIT. This year, I had the opportunity to meet up with a friend having his 25th reunion, so I brought Dova along. 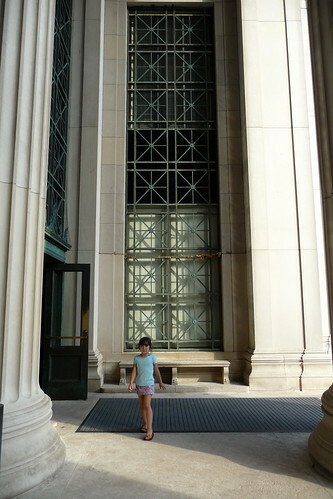 She looked so little against the big architecture of the ‘tute. Dova outside of Lobby 7 under a massive column. Under the windows to the entrance of Lobby 7. 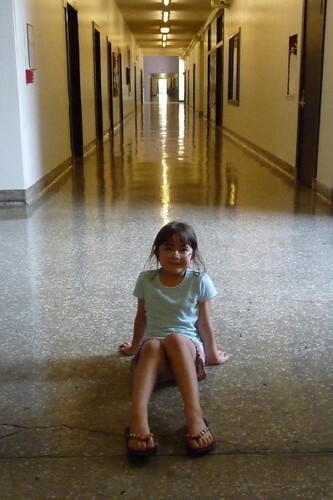 In the infinite corridor (3rd floor). 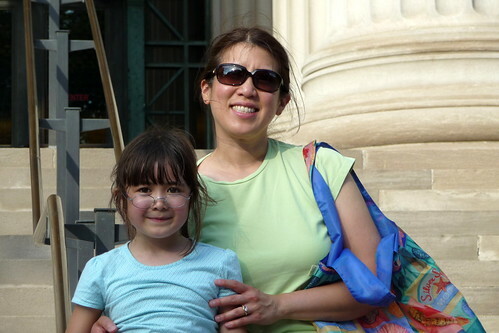 Even though she is the same age as when I first brought Adam to MIT, I still think of her as a baby. Apparently she is no longer running around at my knees, but she is getting quite tall! 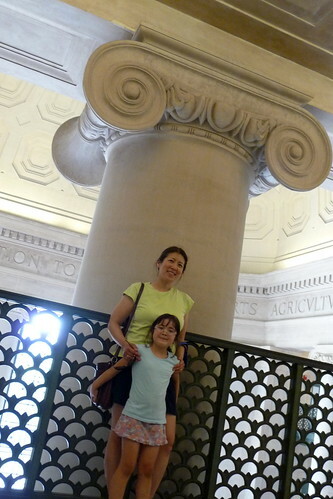 Here we are on the third floor of Lobby 7 against the top of one of the columns. And according to plan, she has also been brainwashed into thinking that she too should be going to MIT. Excellent! 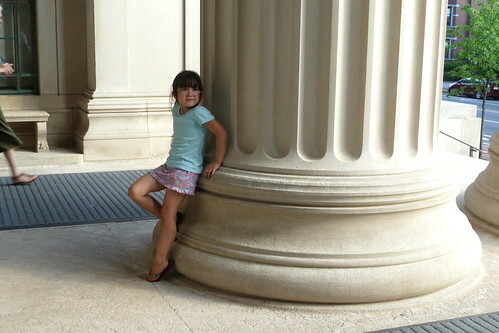 Little Dova goes to MIT. How about that!! I love that you are instilling in Adam and Dova to aim high when it comes to education. The fond memories you are exposing them to now is sure to pay off in their lives later.